Book Review: Emerging Markets Century, by Antoine van Agtmael (2007). The world’s largest corporations are no longer just American, western European, or Japanese. A new breed of multinationals from developing countries is rapidly achieving global presence and prestige. They are also attracting more media attention. For example, this week’s Economist looks at emerging-market corporations in one of its leaders. One of the best recent analyses of emerging market corporations is a book written by investment manager (and originator of the term “emerging markets”) Antoine van Agtmael. In Emerging Markets Century, van Agtmael seeks to explain the why and the how behind the success of the world’s top emerging market corporations. The author describes three distinct waves of commercial development in emerging markets since the end of World War II. First, Western corporations made foreign direct investments in plants in developing economies. After a while, local entrepreneurs began to set up their own plants, typically to provide outsourced production to the Western multinationals. Over time, these local businesses acquired more skills and capabilities, gradually moving up the value chain and into ever more competitive markets. Eventually, the best of these firms achieved recognition as top global corporations. Among the most important success factors were an early commitment to export markets and a relentless focus on superior execution and quality. These two go together: focusing on exports requires producing internationally competitive products, which in turn requires the highest quality. Hyundai Motor’s rise has tracked its determination to succeed in the US market. Hyundai seriously blundered when it first entered the market because its cars were perceived as low-quality. The company rebounded by targeting Toyota as the quality benchmark to beat (while also appealing to consumers by offering the best warranties in the US market). Some companies have become world-class by moving up the value chain. Taiwanese electronics manufacturer Hon Hai began life as a low-value added components manufacturer, but is now a “one-stop-shop” to US clients such as Dell and Apple. Other suppliers became world-class by innovating on supply chains. Mexico’s CEMEX and Argentina’s Tenaris used information technology to offer highly customized order fulfillment and rapid delivery to their customers. 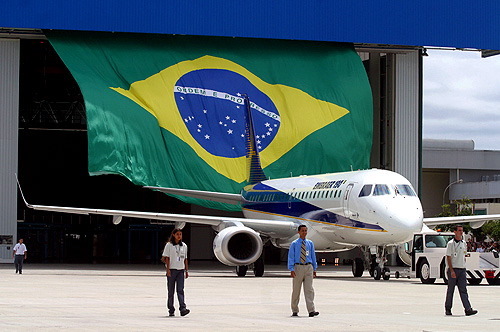 Brazilian regional jet manufacturer Embraer turned traditional outsourcing models upside-down by recruiting US, European, and Japanese “partners” to build its planes. Many emerging market players defied prevailing industry perceptions and created new business models. Steel manufacturers were supposed to be located near resource mines, but South Korea’s POSCO set up shop far away from any mines, believing that increased transportation costs would be more than offset by other efficiencies. The world’s leading emerging market companies increasingly recognize the value of branding. Samsung is already a premier global brand. Other companies, such as Lenovo and Haier focused on acquiring trusted Western brands (IBM and Maytag). These are just some of the most compelling of many insights described in the book. The 25 case studies make Emerging Markets Century a treasure trove of information and a valuable read for international business executives, academics, and investors. I have a few minor gripes with the book. Eight of the case studies are from South Korea and Taiwan, which are among the most industrialized and well-educated of the emerging markets. It is questionable how well their experiences apply to other countries. Meanwhile, there are no Eastern European or Turkish case studies. Nor are there any banks or retailers. This is not for a lack of compelling sources. Brazilian bank Itau, Turkey’s Koc Group, Chilean department store Falabella, Russian foods company Wimm-Bill-Dann, and South African mobile phone group MTN are top-notch companies. I would also like to have read more on the theme of frugal innovation (which was wonderfully profiled in the Economist in a survey of articles last year). The idea behind frugal innovation is that emerging markets companies will find ways to offer compelling products at the low price points their markets require. The best example is the Tata Nano, a $2,000 automobile that surely would have never been developed in the West. These are small issues. This is a great book that is well worth your time. I believe many of the themes it identifies will influence the 21st century global corporate landscape. This entry was posted in Book Reviews, Business Strategy and tagged Antoine van Agtmael, Argentina, Brazil, Mexico, Multinationals, South Korea, Taiwan. Bookmark the permalink. 1 Response to Is this the Emerging Markets Century?